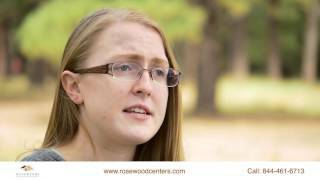 Christine Williams, MA, LPC, is the Clinical Lead Therapist at Rosewood Centers for Eating Disorders located in Tempe, AZ. Christine is a Licensed Professional Counselor (LPC) in the state of Arizona and earned her Master of Arts in Counseling at Ottawa University with a concentration in Expressive Arts Therapy. She is trained in Eye Movement Desensitization and Reprocessing (EMDR). Christine utilizes traditional therapies such as Cognitive Behavioral Therapy (CBT) and Dialectical Behavioral Therapy (DBT) in creative ways that will be individualized to each patient to find hope in recovery and meaning in their lives. For the past seven years, Christine has dedicated herself to work with eating disorders and co-occurring mental health disorders. She has worked with adolescents, adults, and their families in all levels of care. Over the past two years, she has assisted in program development and believes there is always room to grow individually and as a program. She strives to provide a compassionate, safe, and healing environment for her patients while considering each one as their own unique person.